Editor’s note: Our For Your Consideration column looks at films and events related to awards season that we find exciting and different. For detailed analysis of every Oscar category, check out our Oscar pages. When the Academy Awards kick off later this month, Hollywood’s own Dolby Theatre will be briefly populated by a sizable number of stars, including a field of 20 acting nominees. But while that group includes plenty of talented performers doing some of their best work, it also includes two stars who, while surely grateful for the honor of being nominated for their work, were nominated not only for the wrong film, but in the wrong category. This year’s Oscar race has already played fast and loose with category designations (as often determined by studios and distributors, but still), most notably with “Carol” star Rooney Mara (who won best actress at Cannes) being pushed into the supporting actress category while her co-star Cate Blanchett picked up best actress. So-called category fraud is one thing, but passing over an actor’s best work in one film to herald their performance in another is a different story. Both Alicia Vikander (nominated for “The Danish Girl”) and Tom Hardy (nominated for “The Revenant”) did stellar work in their nominated categories, but it’s the roles they were not nominated for — interestingly, both lead roles — that were among the standout performances of 2015. Vikander has been making the rounds during this year’s awards season in support of her two splashiest roles this year: her Oscar-nominated supporting turn in “The Danish Girl” (a film that comes with a sterling Oscar pedigree and received a total of four Oscar nominations this year) and her starring role in Alex Garland’s bold “Ex Machina” (which was only nominated for two Oscars this year, though its best original screenplay nomination was a pleasant surprise). Vikander has been on the cusp of breaking out for a few years now (she first left a mark in 2012, thanks to her charming turn in “Anna Karenina”), but “Ex Machina” finally helped her deliver on her potential. As the robotic presence at the heart of the film, Vikander’s Ava turns in human-sized emotion packed inside an effects-heavy performance, a tricky balance that she pulls off with ease and an almost unsettling sense of humanity. That the role was overlooked by the Oscars is upsetting, if not surprising. Worse, every voting body that did award it with a prize recognized it as a supporting role. Still, it’s no wonder then that her work in “Ex Machina” has managed to pull in plenty of awards right alongside “The Danish Girl,” including both a Golden Globe nomination and a BAFTA nomination (also inexplicably placed in the supporting category) and a slew of critical accolades. 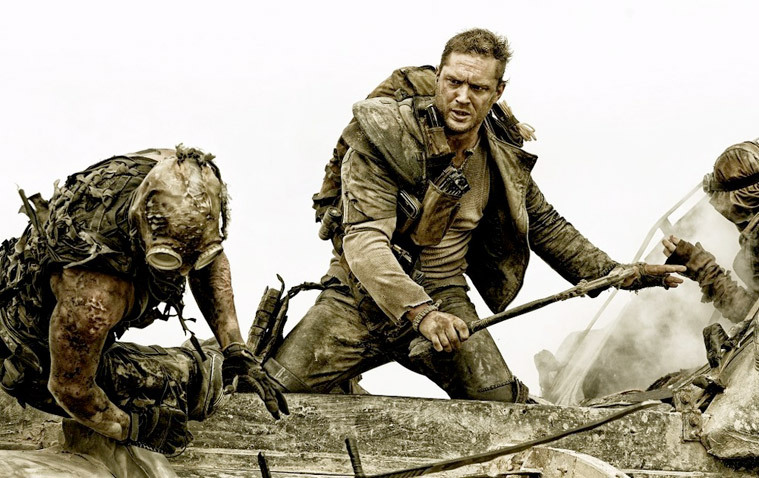 Even with a very strong showing at this year’s nominations (10 total), George Miller’s newest entry into his revitalized franchise didn’t pick up a single acting nomination, despite excellent work from both Hardy and co-star Charlize Theron. Both “The Revenant” and “Mad Max: Fury Road” harness Hardy’s intensity and ability to physical inhabit roles with gusto and creativity. Both productions suffered some from shoots that were publicized as being some version of difficult or challenging, yet it’s Hardy’s turn in “The Revenant” that picked up the Oscar buzz. Why not his new take on Max Rockatansky, which helped fuel a kickstarted franchise that has suddenly come roaring back to life — and pop culture awareness, to boot? Getting any kind of Oscar nomination is a big honor for Hollywood’s brightest stars, but when those awards overlook your best work, it can make awards season just a touch less shiny. Both Hardy and Vikander will have plenty to do once awards season wraps up at the end of this month, with Vikander soon to be seen in films as diverse as Justin Chadwick’s “Tulip Fever,” the next Jason Bourne film (just “Jason Bourne,” for speediness’ sake), Derek Cianfrance’s “The Light Between Oceans” and Wim Wenders’ “Submergence.” Hardy is set to star in Christopher Nolan’s “Dunkirk,” with the possibility of a new “Mad Max” feature always on the (dusky, dirty) horizon. Can best actor and best actress nods be too far behind? Hey, there’s always next year. The Academy Awards will take place February 28 at the Dolby Theatre at the Hollywood & Highland Center, and broadcast live on ABC at 5:30PM PST / 8:30PM EST.